A new hangout to indulge your sweet tooth, Gelare, offers airless ice cream, waffles, coffee treats, and other premium dessert creations! 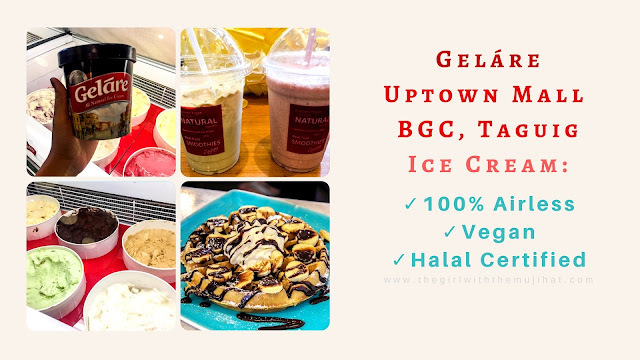 Enjoy their ice cream in 24 different flavors including vegan flavors and Halal certified! Three things stand out at Geláre in Uptown Mall BGC that need mentioning: (one) its gourmet ice cream is airless, with real flavor and no artificial ingredients; (two) it offers ice cream flavors that are Vegan and Halal certified; (three) it serves to-die-for waffles! Offering melt-in the mouth gourmet ice cream that is 100 percent airless and infused with real flavors and no artificial ingredients, plus freshly baked golden waffles, and light hearty breakfast on the menu, it is no wonder Geláre is much-loved in the Land Down Under. Geláre has been tantalizing palates for 30 years and counting. Presently, it continues to capture the society's penchant for gourmet dessert in over 50 branches spread across Australia, Singapore, Hong Kong, Malaysia, Indonesia, and now, in the Philippines. In the grand launch, the owners and executives of Geláre Philippines conducted the ribbon-cutting ceremony. A priest was invited to bless the grand launching of the flagship store and the rest of the event. Bloggers and press people attended to witness the grand launch as well as to learn more about Geláre, its history, offered menu, and business opportunities. Geláre is the Italian word for "freezing", the final step in the ice cream making process. It's founded in of the freezing in ice cream. It is a patented trademark for the cafe and has been in the market for more than 30 years now. Founded in Fremantle, Western Australia in 1986 by Mr. Farid Torabi, Geláre has expanded its range of dessert offerings to include "frozen yogurts, freshly baked waffles & pancakes, coffee, fruit smoothies, and other blended drinks". Geláre has managed to deliver superior ice cream while leaving it with affordable cost. You can get a scoop at P120. Geláre ice cream is also unique because it is much creamier and thicker than Italian ice cream. It is also much heavier, creamier and more intensely flavored than American ice cream. Geláre is an improved “hybrid” ice cream combining and also exceeding the best qualities from both countries. Our favorite flavor is the strawberry with real strawberry bits. Geláre is also know for its world famous waffles. It is said that the best gluten-free Belgian waffles in Australia are baked in Geláre. Geláre’s light, fluffy and full-of-flavour waffles are freshly baked on the premises every day using the finest natural ingredients to create products crafted to its traditional recipe, ensuring a mouth-watering waffle experience that’s seriously "crunchy on the outside and decadently moist on the inside." Served with a range of delicious toppings, you can indulge and delight your senses with a dollop of freshly whipped cream, or two scoops of its premium ice cream smothered with special waffle syrup just for good measure. For coffee lovers, there are also an array of offerings. I am glad to say, Geláre serves Affogato! There is no wifi inside Geláre but there is an outlet in case your lappy's or smartphone's batt runs out. The interior of Geláre is serene, not too spacious but good enough to enjoy time with friends or family. If you are thinking of opening an ice cream business, you might wanna consult with the owner of Geláre as they are open for franchising. You may contact them for details. Mondays to Thursdays - 10 a.m. to 10 p.m.
To indulge your sweet tooth whenever you're in Uptown Mall BGC or around the area, hang out in Geláre and treat yourself to its premium dessert creations including its gourmet ice cream, freshly baked waffles, hot and cold beverages, milkshakes, smoothies, and light breakfast menu. Don't forget to treat your loved ones too! Head to Geláre at the 3rd level in Uptown Mall BGC. You can also watch out for the upcoming branch opening of Geláre in Nuvali and, yes, you gotta like Geláre Facebook Page for promos and live updates! 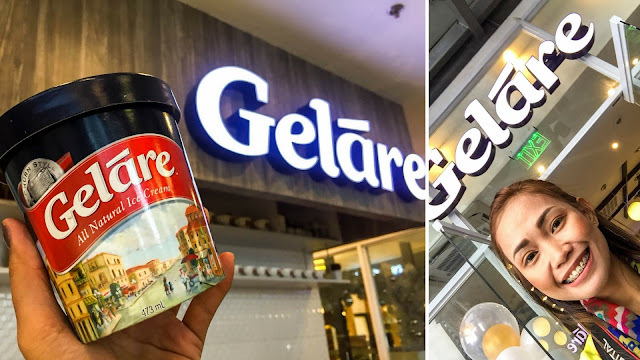 Talk about promos, Geláre is currently running Half Price Tuesdays - enjoy half price off on Geláre’s Classic Waffle at 3rd level of Uptown Mall in BGC every Tuesday! But hey, you are welcome to visit anytime! What do you think about Geláre? What ice cream flavor do you want to try? How about their desserts? Let us know your thoughts! 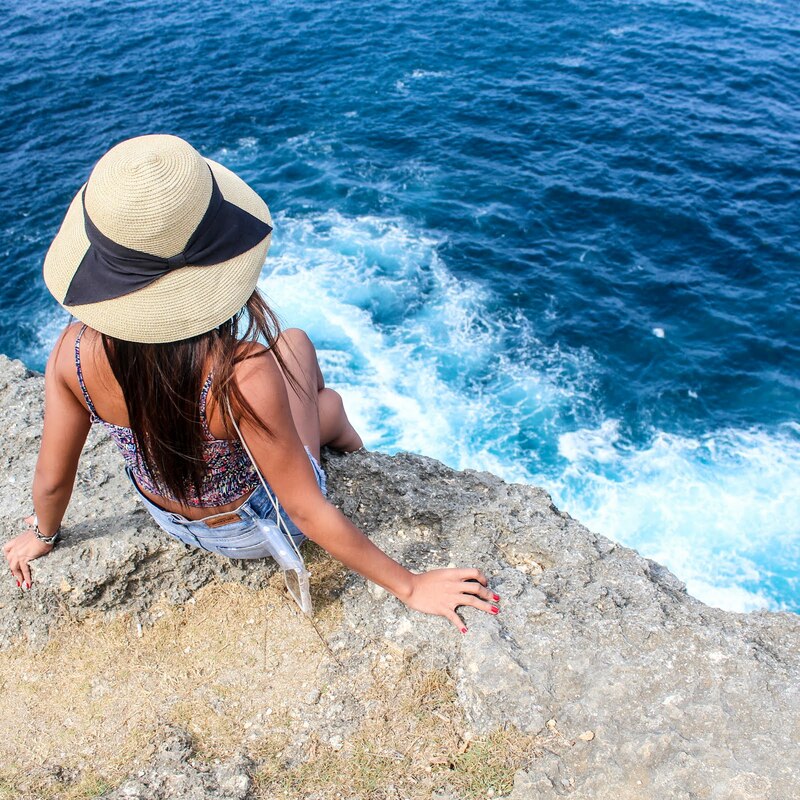 Leave your comments down the comment section below and don't forget to share this article! Thanks so much!